CARACAS, Sep 28 2018 (IPS) - They sell their houses, cars, motorcycles, household goods, clothes and ornaments – if they have any – even at derisory prices, save up a few dollars, take a bus and, in many cases, for the first time ever travel outside their country: they are the migrants who are fleeing Venezuela by the hundreds of thousands. The economic collapse in this oil-producing country, which for decades was the fourth largest economy in Latin America, has translated into shortages and soaring prices of food and medicine, combined with the high rates of violence and crime, triggered the exodus of Venezuelans to neighbouring nations, in a flow that appears to be unstoppable, at least in the short term. “What I earned was not enough to support my girls and send them to school, so I decided to come to Peru, I can now send up to 100 dollars a month to my family and save up money to bring them here,” Johnny Velásquez, a 39-year-old married cook with two daughters, who now works in a restaurant in Lima, told IPS by phone. Fernando García, 60, a small businessman, is the husband, father, father-in-law and grandfather of a family that decided to migrate entirely to Peru. “It was a very hard decision. We took it after my two granddaughters got sick and we couldn’t get antibiotics,” he told IPS. “We don’t see any solution for Venezuela in the near future, so we’re going to try our luck,” he sadly confided from his home in Cúa, a dormitory city east of Caracas, as he chooses the items he will take on his five- or six-day bus journey. Exhausted by the race for survival, more and more people are leaving: they are indigenous people or urban slumdwellers living in camps on the Brazilian side of the border, or pregnant women or mothers with small children joining the ranks of those who, unable to afford transportation, walk along roads in Colombia or Ecuador, heading south. United Nations agencies estimate that 2.3 million people have left Venezuela in the last three years, 7.2 percent of the country’s population of 31.8 milliony, Stephane Dujarric, spokesman for the United Nations Secretary-General, said on Aug. 20. "You very rarely saw a depressed woman in the neighbourhoods. Men, yes, but not women. And this year we have already had three cases of female suicides. The backbone of the barrios is breaking," Alfredo Infante, who as Jesuit parish priest of La Vega attends to half of the 120,000 inhabitants of that part of southwestern Caracas, told correspondents. In Venezuela’s urban slums, "women are the decisive figure and are key to understanding the degradation of the neighbourhood. Until now, more men migrated, but I think we are going to see more female migration," he said. In the area of Las Torres de La Vega, a neighbourhood near the Pan-American highway that was once a receiver of immigrants, "first the Ecuadorians left, then the children of Colombians, then their parents, then the Andean people (from western Venezuela)... I used to pass through there and people in the afternoons were on the sidewalks, talking, interacting. Now you pass by and the streets are deserted, it looks like a ghost town," said the priest. According to Infante it is an "unstoppable" phenomenon. "With the economic deterioration and the loss of quality of life we are experiencing a radicalisation of social depression, which will translate into increased migration. And the neighbouring countries can forget about the border (with Colombia) being closed: it is too long (2,219 km) and porous, and closing it would only help the mafias who live off those who migrate, and the situation is similar in the case of the border with Brazil," he said. Infante, who is also an expert on migration issues, said he hopes that the Latin American countries worried about the Venezuelan wave of migration "will do as Mexico did and put into practice the Cartagena Declaration of Refugees (signed by Latin American countries in 1984), which characterises as refugees people in a situation of forced migration, in this case due to a deterioration of their living conditions." But in early September, international humanitarian organisations set the number of people in the exodus at between 3.5 and 4.0 million. 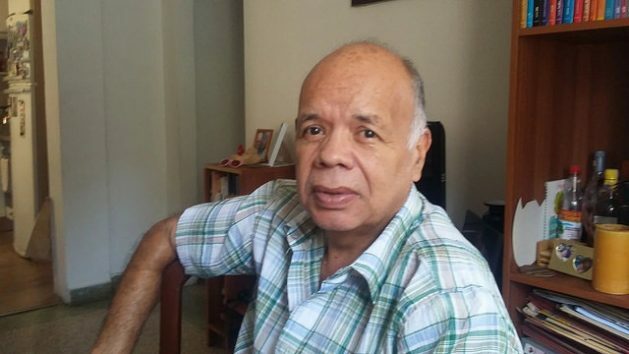 Sociologist Tomás Páez, who directs a study on “the Venezuelan diaspora,” maintains that some three million have migrated in the last two decades. Surveys by polling firms Datos Group and Consultores 21 show that the number of families in which at least one member has already emigrated or plans to do so in the next 12 months is on the rise. “These are all estimates, because many people cross the border just to go shopping, and there are no accurate records in Venezuela, and because in some countries migrants settle illegally, but even so it is about 10 percent of our 31 million inhabitants,” expert Oscar Hernández, who is the head of the Migrant Training Centre, told IPS. At the public Central University of Venezuela, the country’s largest university, enrollment dropped in 10 years from 47,000 to 32,000 students, according to its secretary, Amalio Belmonte. “Professors, students and administrative staff are leaving to seek new horizons,” Patricia Rosenzweig, vice-dean of the University of the Andes, based in the western city of Mérida, told IPS. Healthcare unions estimate that so far this decade some 20,000 professionals have left the country, including doctors, nurses and therapists. According to the latest figures provided by the immigration authorities, 870,000 Venezuelans have settled in Colombia, 414,000 in Peru, 325,000 in Chile, 80,000 in Panama, 70,000 in Argentina, 57,000 in Brazil and 16,000 in Uruguay, while 340,000 entered Ecuador in 2018 alone, 116,000 of whom are still in the country while the rest have crossed over to other countries. Outside the region, the largest receiving countries are the United States (290,000) and Spain (208,000). Félix Seijas, director of the Venezuelan polling firm Delphos, estimated that in the remainder of the year at least 800,000 more Venezuelans plan to leave the country. Jonathan Martínez, a waiter in a small restaurant on the east side of Caracas, told IPS: “I decided to leave after Maduro was reelected. The situation is not changing, it’s only getting worse. I’m getting together money for the tickets to Medellín (Colombia) for myself and my wife. President Nicolás Maduro was reelected on May 20 for the 2019-2025 term in elections without the participation of the majority of the opposition parties, which were considered fraudulent by numerous governments in the Americas and in Europe. Since his reelection, Maduro has shown that he will maintain or accentuate the statist economic measures and the pre-eminence of pro-government social organisations, while the opposition political parties are fragmented, without a unified strategy, and many are not even registered anymore with the electoral authorities. According to Efraín Rincón, an expert with the polling firm Consultores 21, only one out of every five Venezuelans who say they want to emigrate cites political reasons. The rest point to the economic crisis. The opposition-majority parliament indicated that the inflation rate for August alone was 223.1 percent and the accumulated rate for the year climbed to 34,680 percent, while the International Monetary Fund (IMF) estimates that the inflation rate could reach one million percent by the end of 2018 and economists at consulting firms believe it could grow even more. Since Aug. 20, Maduro has implemented a series of measures aimed at curbing hyperinflation and reviving the economy. He ordered a 35-fold increase in the basic salary, which still barely reaches 30 dollars a month, to contain prices of essential products, while devaluing the currency by 96 percent and removing five zeros, and increasing VAT and other taxes. Business associations, the political opposition and independent economists have warned that the measures, mainly because of lack of foreign currency funding, will result in increased unsupported emission of currency and will further accentuate the crisis. Although there are no clear figures available, a tour of commercial areas and food markets shows a rash of temporary or final closures of businesses, layoffs of workers due to the inability of companies to afford the new labour costs, and shortages of food and other goods subject to regulations. Another component of the crisis are the increasingly prolonged failures in the supply of drinking water, electricity, cooking gas, public transport and health and public education services, fuelling protests by people across the country. All of this compounded by the soaring rates of violent crime in Caracas and other parts of the country. In the absence of official statistics, the non-governmental Venezuelan Observatory of Violence put the number of homicides in the country in 2017 at 26,616: more than 80 per 100,000 inhabitants. Venezuela was traditionally a receiving country for migrants. In the mid-20th century it received thousands of Spaniards, Portuguese, Italians, Lebanese and Syrians. And after that came people from other countries in South America, and from the Dominican Republic and Haiti. Now the flow has turned 180 degrees and it is Venezuelans who are the protagonists of a dramatic diaspora in Latin America, which according to many experts will increase in the short term and which has already become the biggest migration crisis in the history of the Americas.